Transforming derelict areas into vibrant community gardens is what great urban design is all about. London-based Wildstone recently demonstrated this when they converted a dark street corner that had become a magnet for "anti-social behavior" into a community-focused urban garden that doubles as advertising space, the site's original function. The corner at Lambeth Palace Road had been neglected for years and eventually boarded up. Over time, the site had become known for all types of crime and, in typical British terms, “anti-social behavior”. Things had gotten so bad the local Community Safety officers urged the neighbors to do something with the space that would bring it back to life and subsequently reduce crime. 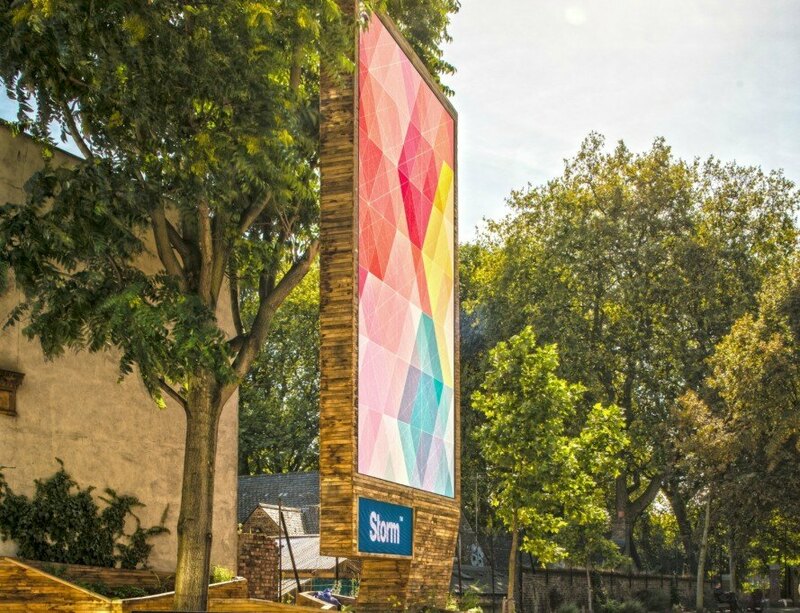 Urban space designers Wildstone came to the rescue with an idea to recreate the site into a working community garden that surrounds an large advertising screen, blending the site’s original purpose with vibrant urban design. The landscape design scheme implemented sustainably sourced oak crates to build asymmetrical terraces to be used as large planters, filled with flowers and edible greens. The same oak timber in the crates was used to create the frame for the advertising display which rises up out of the garden. And now that the site has been restored and renovated, local residents are tending the vegetable garden. The corner at Lambeth Palace Road had been neglected for years and eventually boarded up. Over time, the site had become known for all types of crime and, in typical British terms, "anti-social behavior". Things had gotten so bad that the local Community Safety officers urged the neighbors to do something with the space that would bring it back to life, and subsequently reduce crime. 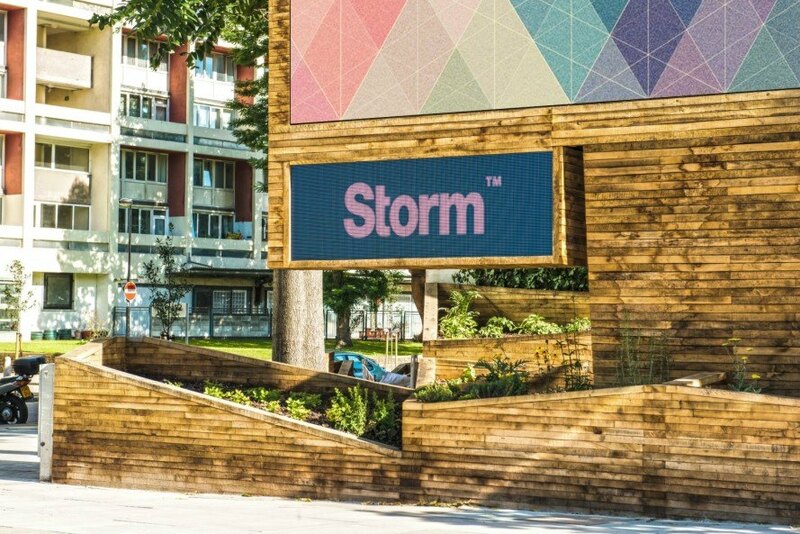 Urban space designers, Wildstone, came to the rescue with an idea to recreate the site into a working community garden that surrounds a large advertising screen, blending the site's original purpose with vibrant urban design. 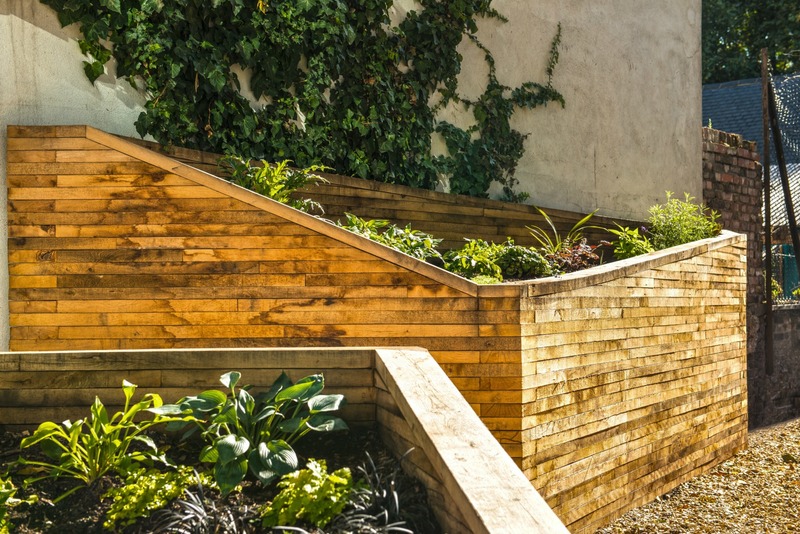 The landscape design scheme implemented sustainably sourced oak crates to build asymmetrical terraces to be used as large planters, filled with flowers and edible greens. The same oak timber in the crates was used to create the frame for the advertising display, which rises up out of the garden.